Schools use Soundtrap in their projects to foster deep learning and develop student's creative, collaborative and communication skills. 1. Per, You have a solid career background ranging from business to music. Can you tell us your story as it relates to music and education, and how you happened to come into this combined field? It started when I was very young. I began as a musician and vocalist when I was a kid, and at the same time started writing software. Throughout my school years I went back and forth between the two activities, and so incorporating them was a natural next step. I worked as a guitar teacher and musician for a year after high school and studied some composition at the university level, but then went back into physics and computer science. Since earning a degree in computer information systems, I've spent more than 15 years as a consultant for both big enterprises as well as for startups. I became involved in the startup community in the late '90s and had also started up a couple of businesses myself the last ten years. I've been a very active teacher throughout my career for both universities and businesses in subjects of product and business development, which is why these areas--music, teaching and developing disruptive new software solutions--have consumed major portions of my entire life. Now, they also melt together in a perfect way in Soundtrap. 2. Please tell us the story behind the founding of Soundtrap. What were the motivating factors behind the launch of the company? Björn Melinder and Fredrik Posse are my two working co-founders at Soundtrap. Björn has a very similar background as me. He was a programmer and musician since childhood, won the Swedish math championship for schools when he was 15. Decided to become a Medical Doctor but went back to computer science and music composition. He was then on the first team and CTO for the Swedish startup "Ongame", the world's leading poker engine at that time. After Ongame was acquired, he started a couple of other startups and worked as a consultant. He met Fredrik Posse, a serial entrepreneur and venture catalyst, who was one of the co-founders of a music production company making world hits for Madonna, Britney Spears, among others in the 90ties. 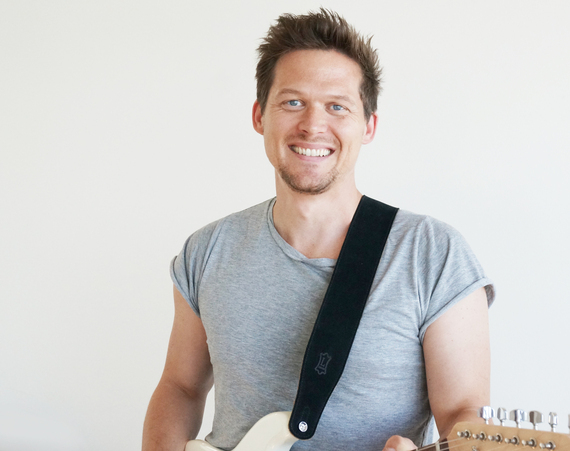 Björn and Fredrik began to develop another music-related startup but pivoted that idea into what is today Soundtrap. It was during that pivot, about three years ago, that I joined as a co-founder of Soundtrap. As you see, the founders but also almost all employees at Soundtrap are practicing musicians (some even professionally), and we know that so many other people are spending a significant portion of their spare time making and performing music as well. A Gallup poll conducted in the US titled "American Attitudes Towards Making Music" confirms this: The survey, carried out over a series of years, showed a steady and growing trend in the number of amateur musicians. Specifically, 54% of all of US households had at least one practicing musician according to the study. While so many people were making music with each other, the tools for creating music had not been made for these groups of individuals. 3. Can you provide some insight into the different ways Soundtrap supports the amateur musician? First, the traditional music-making tools are way too complicated; they were created by professional producers and studio technicians in mind and are not suitable for younger people or even musicians (who typically are not studio technicians). These tools usually resemble more of an airplane cockpit than an easy-to-use, go-to creative tool. Second, these existing solutions are often old-fashioned downloadable software created for a single platform only. Therefore, once the computer has the software installed, the user's creativity is restricted to that device alone. Creative thoughts can come at any time, and creatives must be able to continue this flow at any time, regardless of which device they happen to have in their hand. Third, traditional solutions rarely support any collaborative creation. They tend to support a single user environment, but music making is in its essence a collaborative form of human expression. These are the problems we have addressed with Soundtrap. We are passionate about giving students and adults the tools to fulfill their creativity. 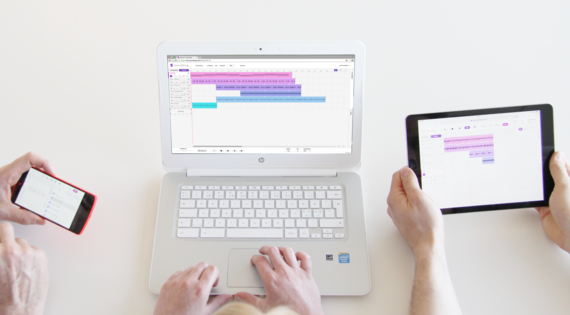 Soundtrap is a super-easy-to-use, online music and audio-making platform that allows you to use any device to create collaboratively, whether it's in your spare time or in a classroom. After we started the basic consumer model, we also started to see a huge interest for Soundtrap in the educational space. As a father of two kids in the K-12 age, I am delighted to bring such a wonderful collaborative model to today's youngsters. 4. 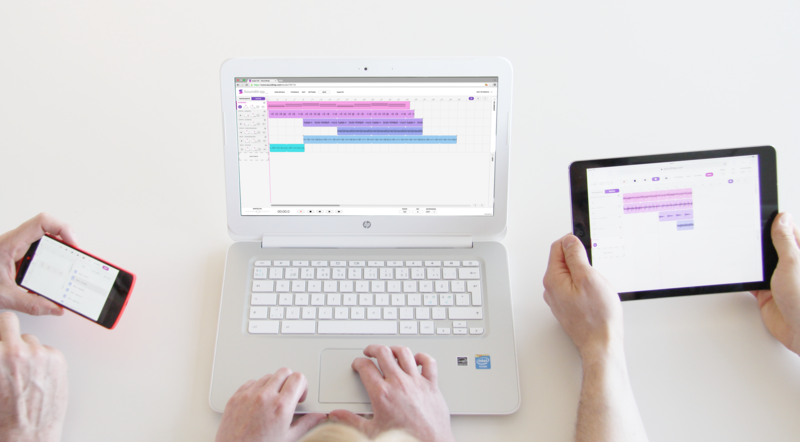 Soundtrap has two different programs, one for individual contributors and a particular program for schools. Can you tell us about each program and how the experiences differ? Also, how many contributors and schools currently use Soundtrap? How many countries are now using your program? When we first published the consumer version, the response in the musicians' community was fantastic. Gradually, educators also started generating talk about it on Twitter and different shows. We were thrilled when the American Association of School Librarians awarded us as "The Best Website for Teaching and Learning 2015." Google then reached out and wanted us to be a Google for Education partner. Of course, we are amazed at how quickly interest had development. We reached out to many of our pioneer teachers and asked them what they needed more to make Soundtrap a scalable solution for schools. According to these teachers, several other factors also played into this equation: the Soundtrap website required to be COPPA-compliant and have a "walled garden"; it needed to be super easy to administer for teachers; and it needed support for assignment and integration with Google Classroom and other Learning Management Systems. We incorporated these features into what today is "Soundtrap for Education." Moreover, because we understand the financial constraints facing education, we offered this version for schools to a fraction of the cost of the premium full version. Today, we have over half a million users in hundreds of countries, predominantly in the US, and we are growing exponentially. Thousands of schools and counting have already joined Soundtrap; we are making collaborative creativity happen every day. 5. There are quite a few programs in this space. Can you please tell us how you separate yourselves from others? Let's take GarageBand as an example. GarageBand is also very easy to use. However, it does not support such devices as Chromebooks or BYOD schemes. It also does not support remote collaborations, nor does it support assignments, Google Classroom integration or easy school and class enrollment. We think that Soundtrap is the only credible solution on the market that ticks all these boxes. 6. Can you please tell us more about your partnership with Google and the role they played and continue to play toward your growth? Google was a great partner of ours from very early on and continues to be. Even before we became a formal partner, we were invited in 2014 to perform a 45-minute session on Google I/O in San Francisco. The Google session was a significant milestone for us. Chromebook is revolutionizing the K-12 educational space as we speak. All new Chromebook schools are looking for tools for collaborative creative content making to support their STEAM efforts, the 4Cs (creativity, critical thinking, communication, and collaboration) as well as project-based learning activities. Simply by being the partner that supplies exactly this to these users, is paramount for our fast adoption. 7. You have mentioned how Soundtrap helps meets the goals outlined by The National Education Association, who noted that, "As educators prepare students for this new global society, teaching the core content subjects must be enhanced by incorporating critical thinking, communication, collaboration, and creativity." How is Soundtrap an active contributor to this vast ecosystem of learning for 21st-century students? In a future society, AI is taking over many of the mundane and repetitive jobs. Hence, people need to enhance essential skills that people typically are very good at and computers are not. Parts of these key skills can be summed up as the 4C's and they are usually not trained in isolation. You likely will not have a subject in school called "collaboration" or a course in "creativity." These skills are in their very nature "cross subject," and need to be integrated into the core subjects taught by the teachers--and not taught in isolation. But how is that done? And what is not music about, if not "communication," "creativity" and "collaboration"? We see Soundtrap as a key solution in enabling and increasing the speed of the important 4C's implementation. 8. The importance of arts in school cannot be underestimated, while funding for these programs in the U.S. has dropped dramatically. This is evident with the U.S. National Endowment for the Arts program. In 1992, we were funding it at $176 million a year. Now, it's only $146 million. Educators know that teaching the arts in school is essential to creating the innovative workforce of tomorrow. However, getting the message across to decision-makers is challenging. Soundtrap can play a crucial role in filling this great need. What are some of the greatest achievements you've seen so far about enhancing this void? The arts play a huge role in forming tomorrow's skills. Look around you. The importance of the arts in today's world, as well as the future, is becoming more apparent and more urgent. What would the iPhone be, if not for the design it has? Also, the quality of artistic content in music, video, and other creative products is increasing very rapidly. Today it is not enough that a product is functioning. We expect it to be beautiful, easy to use and to sound perfect. Moreover, an increasing number of neurological studies show that kids that play instruments solve problems faster and more efficiently. Musicians are more often positioned in executive roles in organizations, and they also exhibit enhanced memory functions. You can learn more about the influence of music on your brain by watching this TED Talk. Hence, enforcing the (A)rts in the STEAM movement is not just about enjoying some music or another type of art, and then reverting to other core STEM subjects as quickly as possible. Arts, and specifically music, is an essential tool in taking education as a whole to a higher level, both as an important subject in its own right and a key to increasing knowledge acquisition in all other subjects. This is one of the fundamental insights that drove us when developing Soundtrap for Education. 9. What are some future goals or new things on the horizon for Soundtrap in 2016? We have already enrolled thousands of additional schools on Soundtrap, and the pick-up rate is escalating every day. One of our primary goals is to keep up with this massive growth and scale the company accordingly. And we are doing that. We are growing very rapidly in both the consumer markets and the education market. We have some imperative strategic releases coming in the near future, and educators should be looking for them. 10. Do you have any other exciting announcements you'd like to share? We are also very happy to announce that award-winning songwriter and producer Andreas Carlsson just joined Soundtrap's team of advisors and investors. During his prestigious career, Carlsson has written songs for the likes of Katy Perry, the Backstreet Boys, Celine Dion, Britney Spears, Bon Jovi, Carrie Underwood, Ricky Martin and many more. Carlsson's many mega-hits have helped at least four singers win the coveted "Diamond Award" bestowed on those recording artists who have sold over 100 million albums throughout their career. He has received five Grammy nominations, two Emmy awards and other accolades for his musical accomplishments. He has also written significant parts of the music for the Broadway show Paramour that opened in May 2016. Andreas also runs a music school in Sweden for very talented teens and sat on the jury for the Idol TV shows in Sweden for three years. With his deep connections in the global contemporary music scene, Andreas is an ideal advisor and partner for us helping us closing the gap between the school and rest of the music community as well. Enjoy this video about Soundtrap's work in education! Thank you for keeping the music dream alive for all of us! To learn more about Soundtrap, please stop by their website and try out their user-friendly product.